Welp, another month bites the dust! I feel a little bit like a broken record whenever I say that, but every month has gone by SO FAST this year! I mean, we’re already entering the last month of 2018! What is going on?! 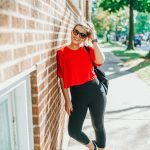 But the good news is that I made it through my busiest blogging month of the year! Honestly, it reminded me of what June used to be for work. Working way past normal hours, a lack of sleep, the usual. But it made me laugh a little bit because there was one other aspect that was similar to my other job’s crazy season. When you’re planning/executing a big event, you’re around people having fun – and while you can have a little fun too, your mind never stops thinking about everything you have to do. That’s what Cyber Week was like for me. Haha don’t get me wrong, I definitely had a good time with my family! But when everyone else was napping, watching football, or going to bed early, I was working on sale guides 😂 But it’s totally worth it – and I survived!! And now I’m pretty sure the rest of year will be a breeze! This month definitely had some obstacles. The month started off with a nasty cold, and then we went to Arizona (which was full of hikes, so not a total bust!). After that, everything quickly shifted into holiday madness. Not only are gift guides time consuming, but, as I mentioned, Black Friday and Cyber Monday coverage is NO JOKE. As fun as sales are, I’m kind of glad they’re over! 14 as of today! I told you, not amazing, but not bad either! Even though the walk to the gym is getting a little colder, I’m still loving this gym. Even on gloomy days, it gets so much natural light – and it has a really great neighborhood vibe. 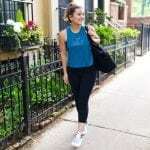 I didn’t get to try any new classes this month, but I’m still loving self-led workouts with my Fitbit Versa and the Froyo to Fitness Workout Guide! If you haven’t tried her workouts yet, I highly recommend it! YAY! I finally got back to solidcore this month! TWICE! Every time I go back, I remember why I love it so much. If you’re like me, and don’t live near their River North location, get excited because their Boystown location is now open! Even though I still have to take a train to this one, it’s much closer than River North, so I’m really pumped to start going more again! PS. Get $5 off their $39 Two Pack with code LAKESHORELADY. 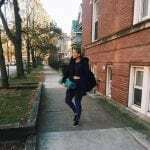 You can also read all about the studio/classes in this post. Get 3 classes for $69 when you mention LAKE SHORE LADY at Club Pilates North Center or Lincoln Park location! You can also call or DM them on Instagram to set it up! I tried a boxing class once a few years ago and didn’t think much of it… but I LOVED TITLE Boxing Club! You start with a body weight warm up, then move to boxing, and end with abs. It sounds daunting, but the class went by SO fast for me. I think it’s because you’re focusing so much on the boxing combinations that it’s over before you know it! I wish I lived a little closer to one, but I still think I’d like to go back from time to time. I actually got to go to a class out in the suburbs with my Mom and a friend! The class as a whole wasn’t totally my jam, but it felt SO GOOD to sweat the day after Thanksgiving. The teacher added a lot of twists to the flow too, which was exactly what I needed after all that butter! Sometimes I forget that this is an option for so many people! I wish we could do this in Chicago, because hiking in Arizona was such a wonderful way to start each day. So jealous of anyone who can hike all the time after that trip! don’t let the weather be an excuse not to exercise. Repeating this from last month! It is so easy to use “it’s the holidays!” as an excuse to eat poorly. And while I fully support eating all of the delicious foods the season has to offer, I don’t need to eat them every day! What are your fitness goals for December? I’d love to hear what’s motivating you right now! 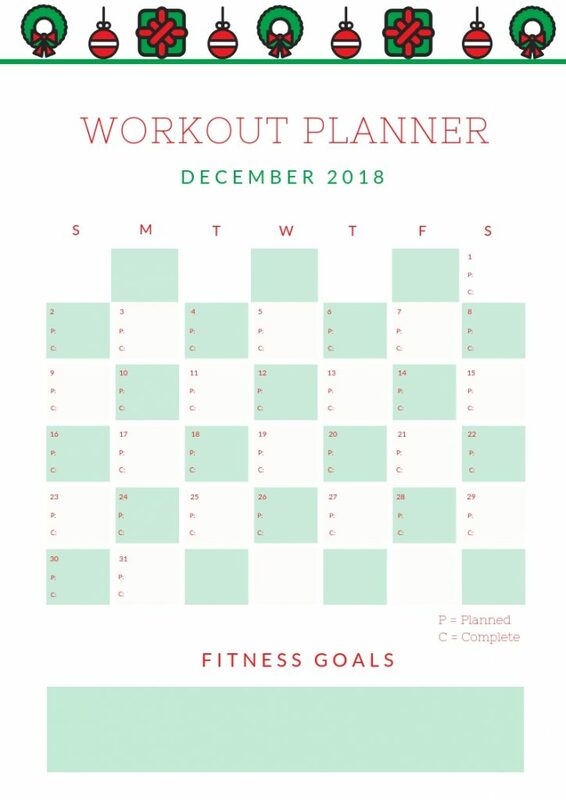 Also, who is going to track their progress with this December Workout Planner? I have some big improvements coming to these planners for 2019 – so excited to show you guys! PS. Have you seen my Gift Guide for the Self-Care & Fitness Junkie?